Job interviews can feel hopeless. No matter what you do, it all comes down to luck and timing. But what if that’s not actually true? Just kidding, it is. But there’s hope: here are 10 proven tricks to appear smart in a job interview and nail that job offer. Discussing your morning experience with the local transit is a great way to appear smart. Share the short cuts or inside information you’ve gathered in your many years taking the subway. Bond with your interviewer over a shared frustration with your city’s crumbling infrastructure. They’ll be so engrossed complaining about the delays on the F Train or the Red Line or the traffic on the 405 with you, they’ll forget your interview was supposed to have started a half hour ago. On your walk from the lobby to the interview room, walk a little wider. A wide stride will get you to your destination faster and that slight change in pace subconsciously tells your interviewer that you can get the job done quickly. Nothing says over-preparedness like backup dongles. 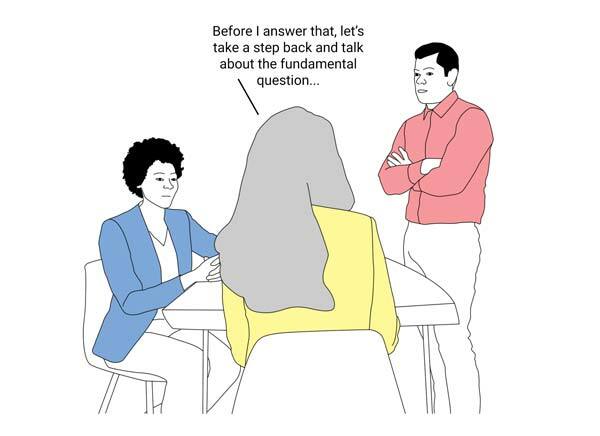 When asked a question, start each response with, “Before I answer that lets take a step back and talk about the fundamental question…” Ask your interviewer to clarify, to provide examples, or to rephrase the question. Once you’ve found an answer you can pawn off as your own, tell your interviewer you agree and would like to piggyback off of that response. Continue to follow up until your interviewer has effectively answered the question for you. 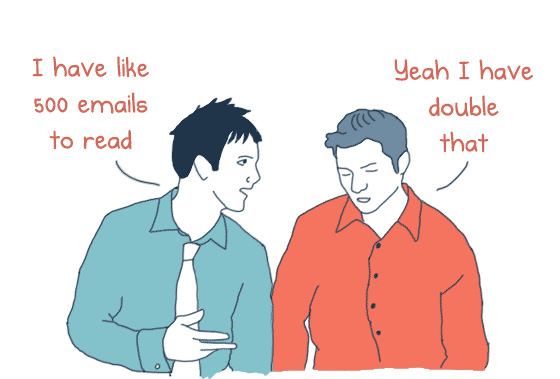 Then share a personal anecdote about teamwork. Always accept a glass of water when your interviewer offers you one. Once they’ve left the room to get it, you can quickly pull out your phone and Google the answers to the questions you’re being asked. If you need additional time, knock over the glass of water so your interviewer has to take a second trip out of the room for paper towels. You can mask your lack of past success by speaking to your future impact. Explain that you are very excited about the hypothetical impact you could make if hired. Outline to your interviewer what you would accomplish if given the resources, which previously you have not been offered. Make it clear that the only thing that has ever kept you from truly making a difference in your career, is lack of funding, support, communication, shared values, and time. Reassure your interviewer that, at this company, things will be different. By identifying yourself as a “visual learner” you’re not only letting your interviewer know you are an unconventional thinker, but you’re padding your response time. Asking them to sketch out the question buys you a few more minutes to come up with an answer. Remember, your interviewer wants you to be successful so they are more than happy to adapt their interview style to what works best for you. And, if they can’t clearly get their question across, they will feel like they’ve failed. Bonus. Find opportunities to ask your interviewer if their team uses Slack or Asana or Trello. If asked about a product you haven’t yet used, tell them your team demoed it but found it lacked the functionality needed to accomplish your aggressive quarterly goals. When your interviewer asks if you have any last questions, don’t bother trying to ask them about the elusive qualities that make a successful candidate like most brown nosers. Instead, ask practical questions your interviewer will be able to answer. Ask if you get Columbus Day off, how many Keurig machines are in the office, and how the window seats are assigned. This will make you seem like you’re already part of the team. The biggest misconception about interviews is that you need to do your research. In reality, many interviewers are turned off by know-it-all’s and would prefer to hear your assumptions about what the company does and what the job entails. Even if you miss the mark, your insights are helping the company answer key questions about how they are perceived in the marketplace. This insight will make you appear invaluable. Ali Kelley lives in Brooklyn and writes about work drama, 90s pop culture, and the absurdity of being a woman.